I would like to learn more about this 2010 Hyundai Genesis Coupe 3.8L Grand Touring. Please contact me as soon as possible! 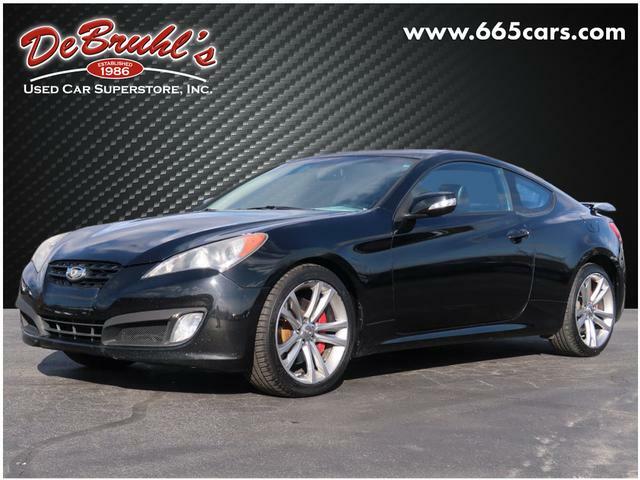 * 6 Cylinder engine * * GREAT DEAL AT $10,950 * * 2010 ** Hyundai * * Genesis Coupe * * 3.8L Grand Touring * Outfitted with a push button start, a leather interior, heated seats, traction control, premium sound system, anti-lock brakes, dual airbags, and side air bag system, this 2010 Hyundai Genesis Coupe 3.8L Grand Touring is a true steal. It has a 6 Cylinder engine. Rocking a beautiful black exterior and a black interior, this car is a great pick. This safe and reliable 2 dr coupe has a crash test rating of 5 out of 5 stars! This ride features a rear spoiler! Interested? Call today to take this vehicle for a spin! DeBruhls Used Car Superstore is the largest independent auto dealer in WNC! We offer a full range of financing with our guarantee credit approval, everyone is approved here.